Arata Isozaki, the Japanese architect and winner of the Pitzker Prize 2019, is not only renowned for his fruitful portfolio of works built all over the world (more than a hundred) but also for his continuous input to the theory of urbanism, including texts and proposals. It is precisely in the field of urbanism, that he developed one of his most interesting non-built projects: the futurist master plan, known as City in the Air, in the Shinjuku neighborhood in Tokyo, Japan. At the end of the Second World War, in Japan – a country in full material and spiritual reconstruction – an avant-garde architectural and urbanistic movement emerged, known as Metabolism. 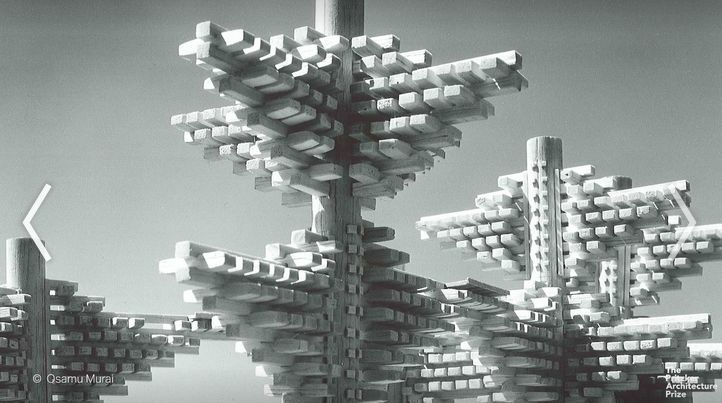 The Japanese architects started to explore the relationship between the human being and the constructed environment. The Metabolism emphasized the concept of biological growth in architecture, implying that the city, as well as its structures, are living organisms that develop together. The architecture was now understood a being in constant transformation, a movement able to reflect in its design a dynamic reality.